See above flyer for more details! 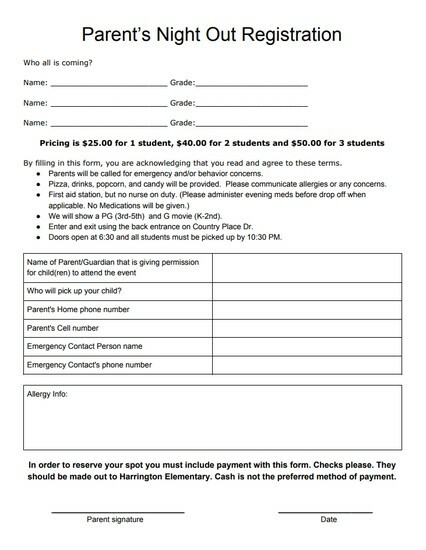 Registration form is attached below. Thank you Huskies! 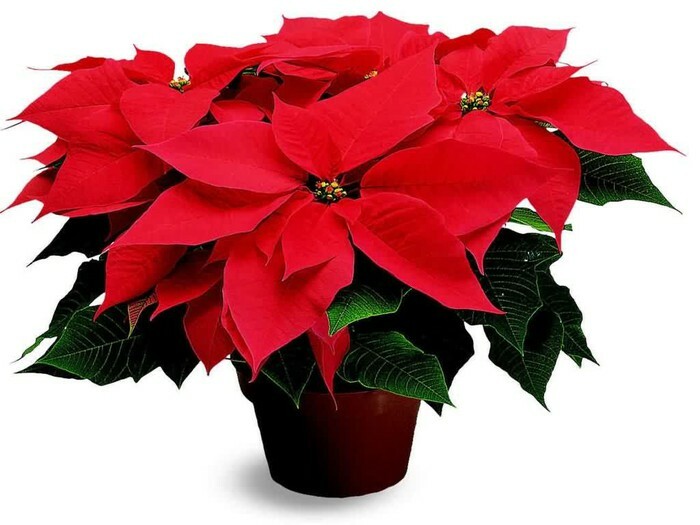 Purchase beautiful Poinsettias for you, your family, friends, office staff and clients! They are an awesome addition to any Holiday decorations. You can order yours today click here. They will be delivered on December 14th, 2017. 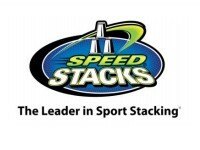 We work to support students, families, school faculty and staff by sponsoring events and fund raisers. You can also contact Devyn Howell with any ordering questions you might have: leftcf8@msn.com Thank you! Huskies: don't forget to do your reading logs! 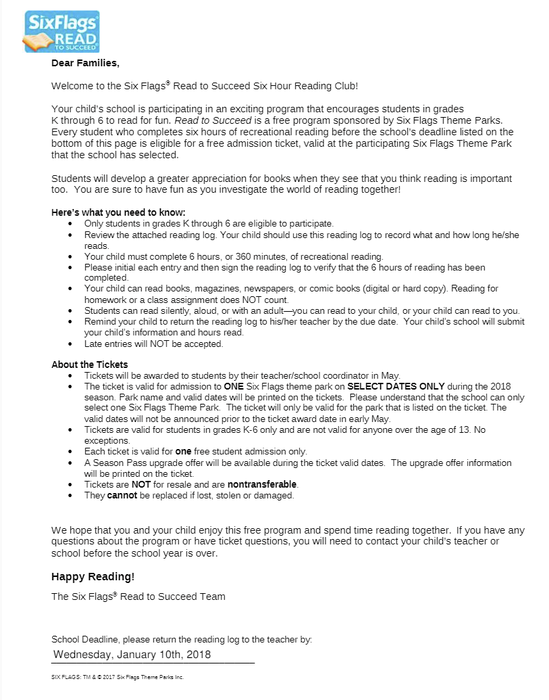 Students who complete six hours of recreational reading earn a free ticket to Six Flags! It is a great way to motivate kids to read! 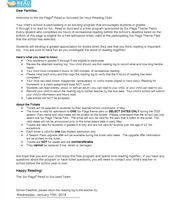 Please click on the link below and print your child's reading log today! Let's get ready to celebrate the most fun time of the year! It is time for Winter Parties! 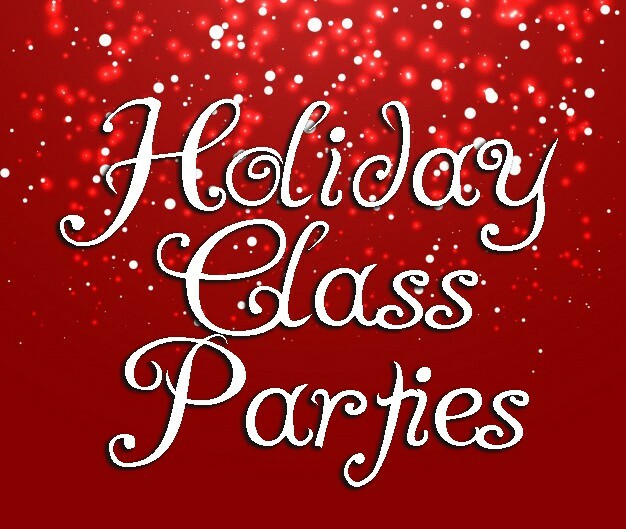 Please be sure to turn in your $10 donation towards the class party fund and make sure your eligible volunteer status is current with PISD. Volunteers are needed to help as the kids celebrate this festive time of the year. 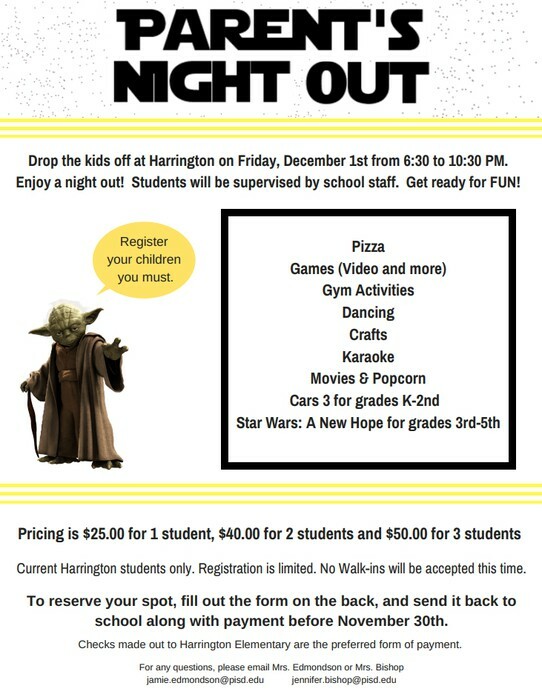 Please login to your account for volunteer opportunities HarringtonPTA.net. A quick reminder: No parent visitors for lunch on Wednesday December 20th. Thanks!! 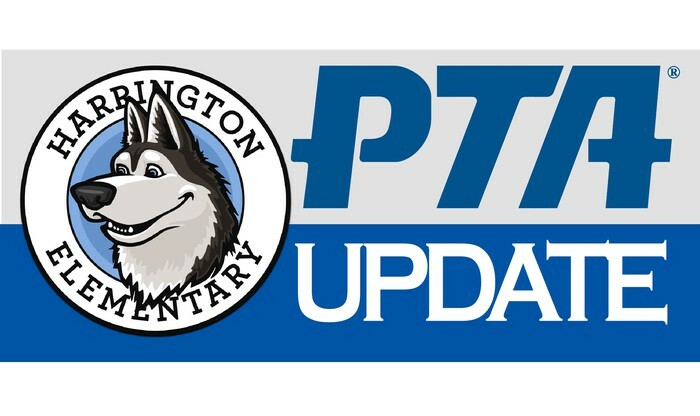 The November 2nd meeting draft minutes are now available on Harrington.net. 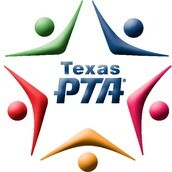 Log in to your account and click on OUR PTA> PTA Meetings to read the minutes. 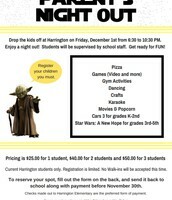 Email corrections or additions to secretary@harringtonpta.net. These meeting minutes will be up for approval at the next General Assembly meeting in January.